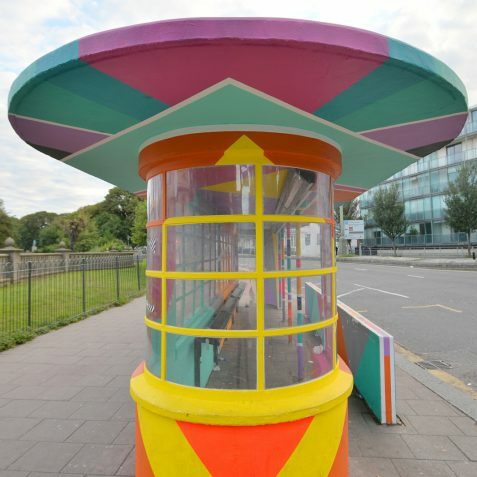 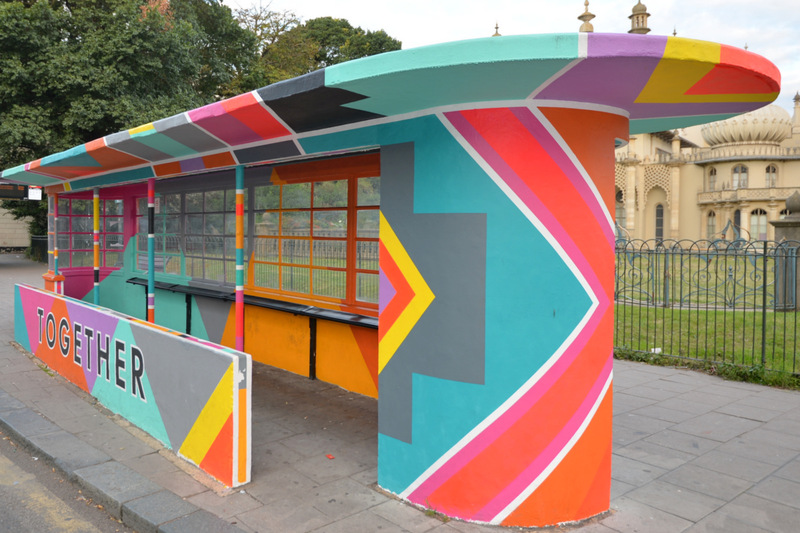 A little different from most people’s idea of listed buildings, this tram shelter c1926, was designed by the then Borough Engineer, David Edwards, who also designed the tram shelter and public toilets on Old Steine, which is now a cafe. 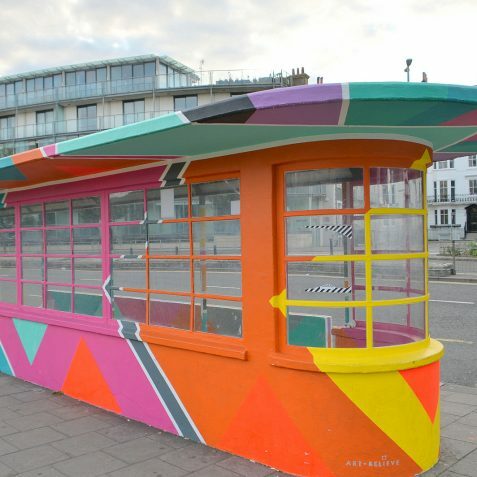 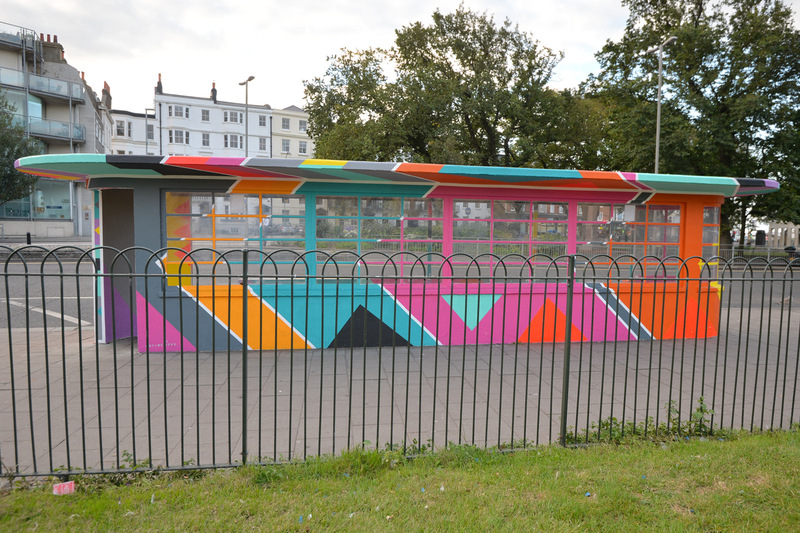 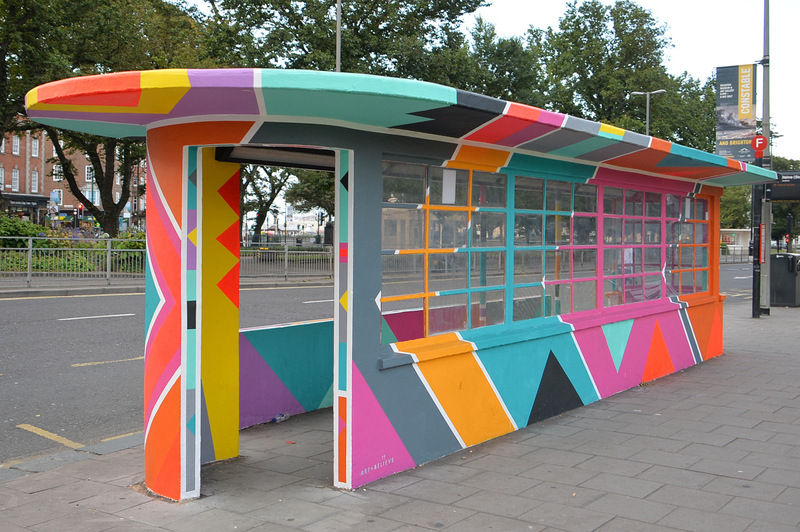 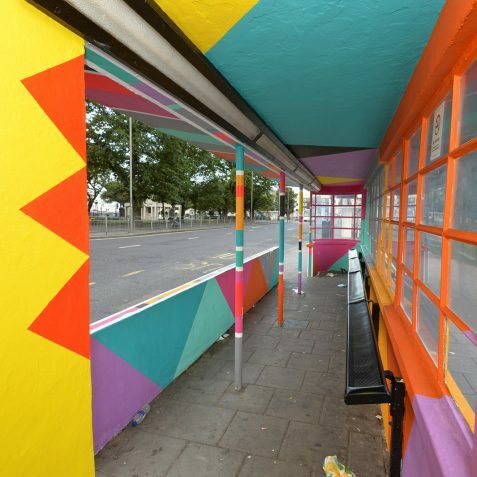 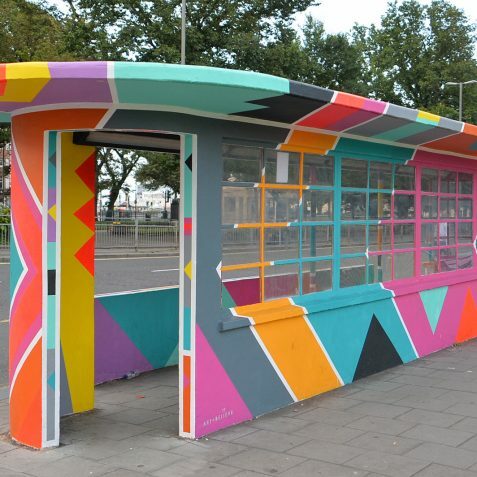 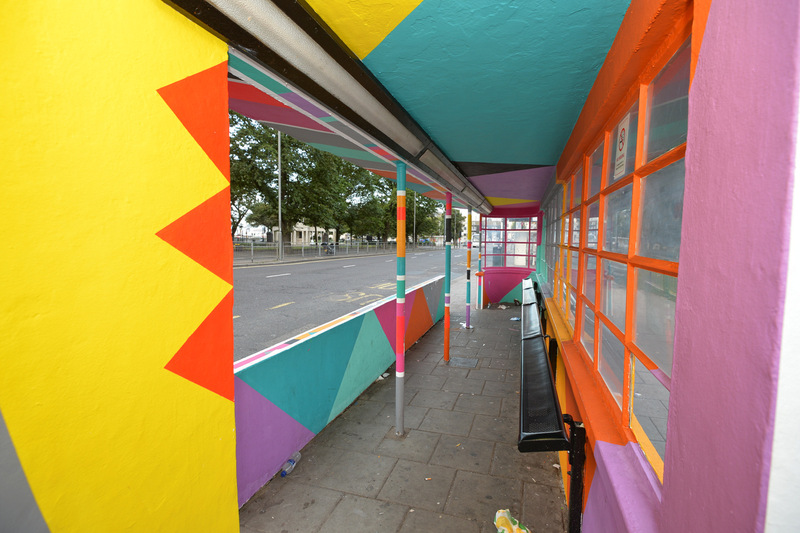 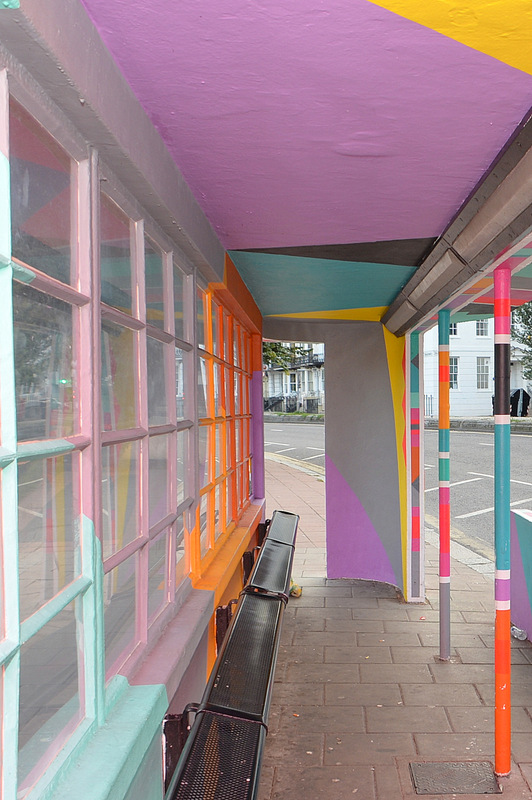 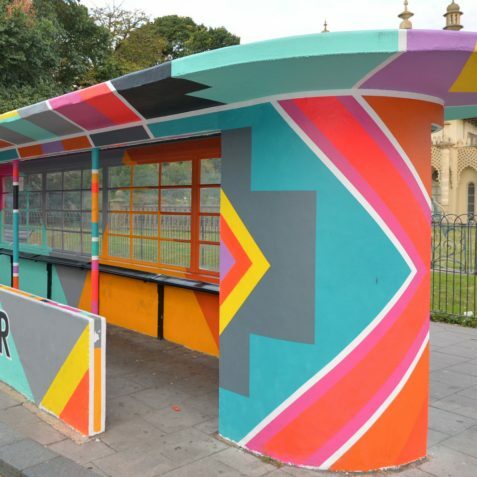 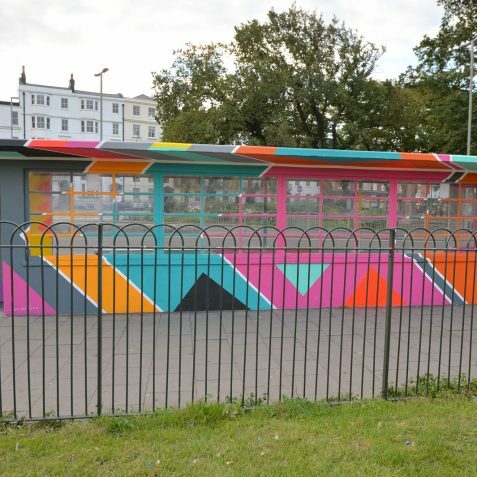 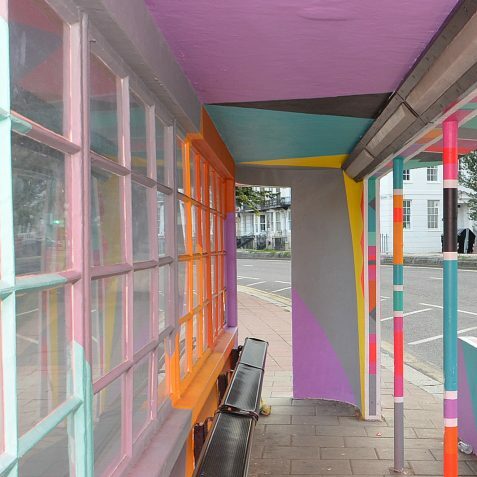 Brighton & Hove Buses commissioned well known graphic artists Art+Believe whose work brings bright, colourful, geometric murals to communal spaces. 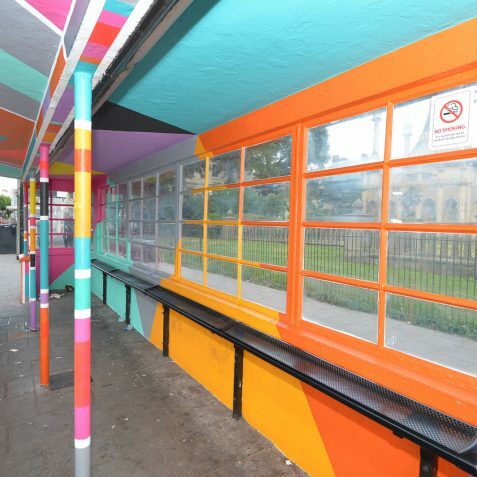 to decorate this tram shelter for the Pride Festival. 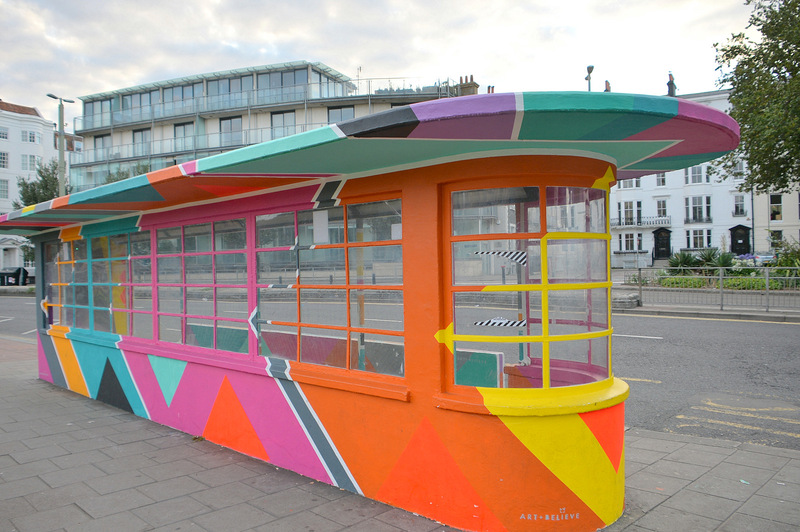 Its vibrant colours and design celebrate the creativity and community spirit which is at the heart of the city. 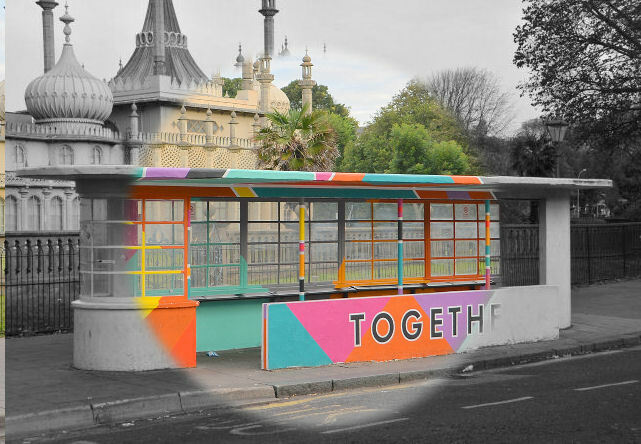 The backdrop of the Royal Pavilion represents the complex colourful history of the city and completes the notion of old and new together. 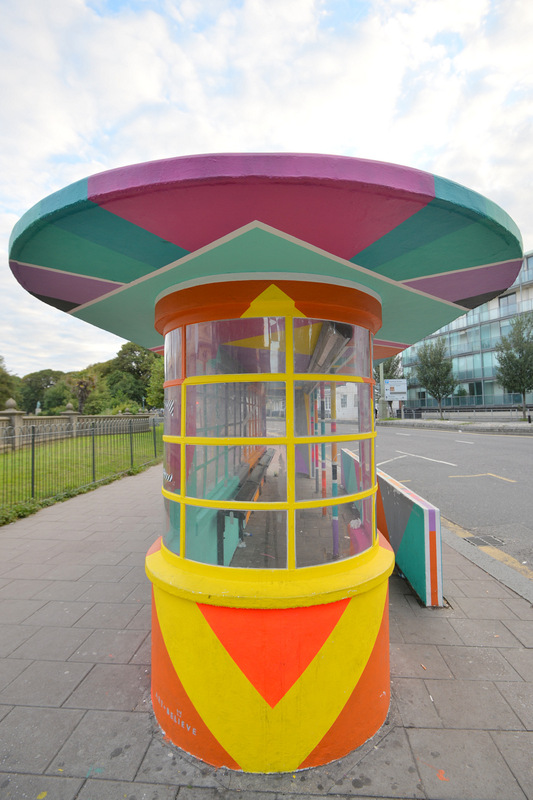 I remember this as a kid. 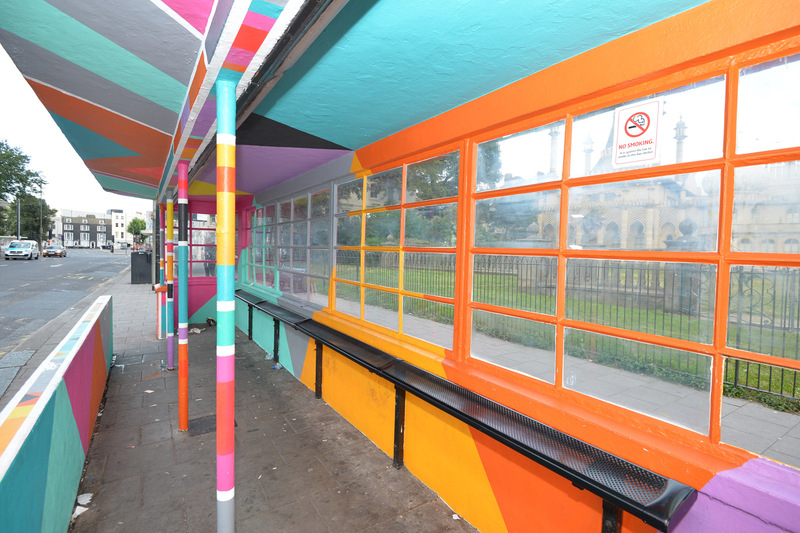 It would be handy if a rubbish bin would be put there for the lazy litter bugs.